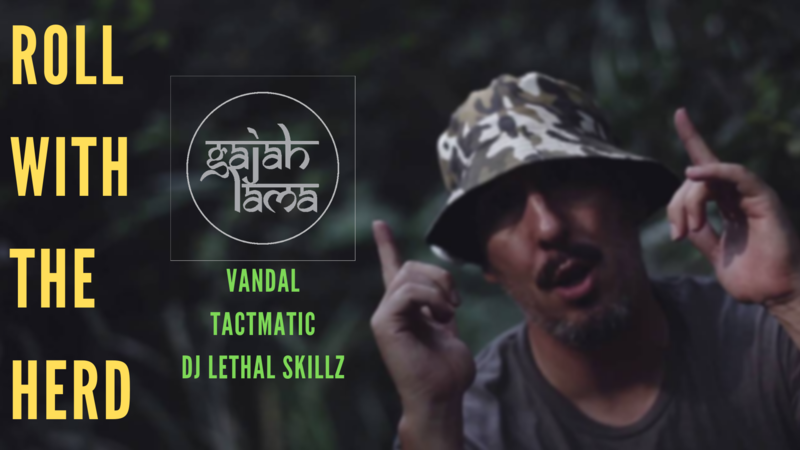 Canadian hip-hop veteran Vandal has teamed up with Malaysian rapper Tactmatic for Gajah Lama’s video release “Roll With The Herd” that is set in a lush rainforest canopy and atop a sonic bed of Boombap hip-hop. Vandal & Tactmatic have combined forces with Gajah Lama for their 2016 anthem – #RollWithTheHerd. DJ Lethal Skillz provides the cuts for the collaboration featuring production from Tactmatic. The video features Gajah Lama’s Limited Edition “Kara Inez” collaboration and t-shirts with the cool hidden swag pocket. ← Blockchain Record Pool: Let’s Curate Great Music and Earn!